Migration from Ireland is nothing new. The first migrations from Ireland can be traced back to medieval times! People have left Ireland for economic and social reasons, as well as fleeing from persecution, war and famine. The 17th century was a dark time in Irish history. Ireland was conquered by the English parliament and the forces were led by Oliver Cromwell – a deeply loathed military leader. A vast number of Irish people were wiped out and many were deported to the West Indies as slaves. 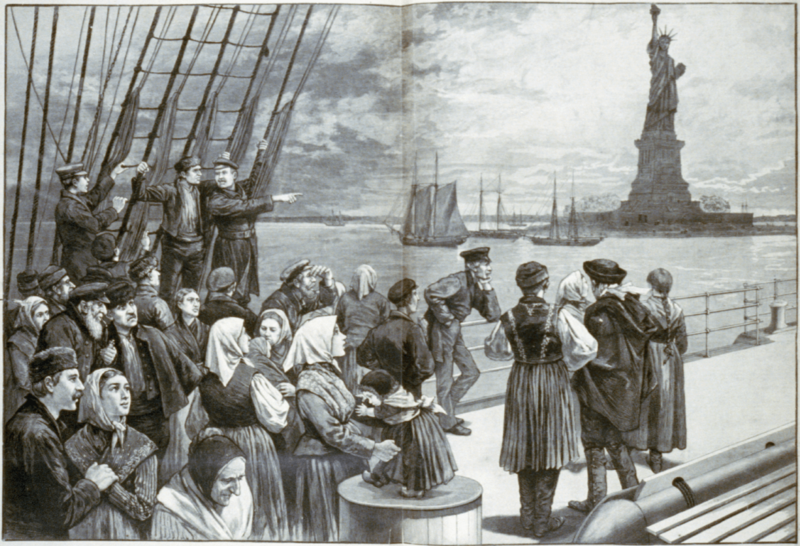 This became known as the first wave of Irish immigration. Ireland was hit by multiple famines but the Great Famine had the biggest impact to the Irish population. Over one million people perished from famine and disease and another million emigrated. They emigrated to America, Canada, Australia, England, Scotland, and Wales. Another famine hit Ireland in 1879. Although is was far less severe than previous famines, it trigged fear among those survivors of the great famine. This subsequently led to more migration. When Ireland became a free state, economic conditions were poor. Because of this, many of the young people of Ireland left in search of greater opportunities abroad. Ireland’s wealth began to grow during the 90’s with the membership of the EU. This drastic growth became known as the Celtic Tiger. The collapse of the Celtic Tiger let to a great economic depression and another significant wave of immigration followed. A staggering number of people claim Irish heritage with the largest being the U.S. and Britain. Over 34 million and 14 million people claim to have Irish heritage respectively (As of 2001). Other countries with a large number of Irish descendants are: Canada, Australia and Argentina. A rough estimate of 70 million people with Irish backgrounds has been claimed although this is almost impossible to quantify. In recent years the tables have turned. Immigration has slowed drastically and returning migration has increased. Much of the Irish diaspora celebrate their Irish heritage. This is most evident in the celebration of St. Patrick’s Day around the globe.